Just when you thought this cold weather would hang around forever, the sun came out and temperatures rose to the 60s and 70s. It was a hopeful sign that spring is on its way. We saw other signs on a recent walk along the nature center trails. We found our first anemone of the season. It was all by itself but what a welcome sight! Anemones come in a variety of colors ranging from white to pink to purple, and a variety of petal formations. (They are not related to the sea anemone which is actually a group of meat-eating animals. However, the sea anemone is named for the anemone flower.) The name Anemone comes from the Greek word for wind as it was thought that the flower opened in response to the spring wind. 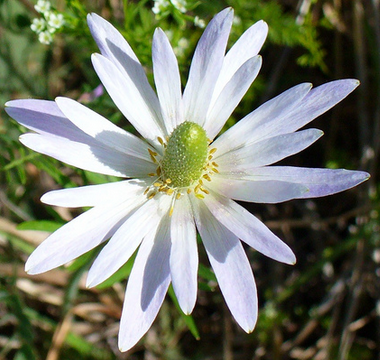 Containing a mild neurotoxin, anemones were used by some early natives to treat wounds. Blooming from February to May, look for more of these in the coming months and see how many different colors you can find. 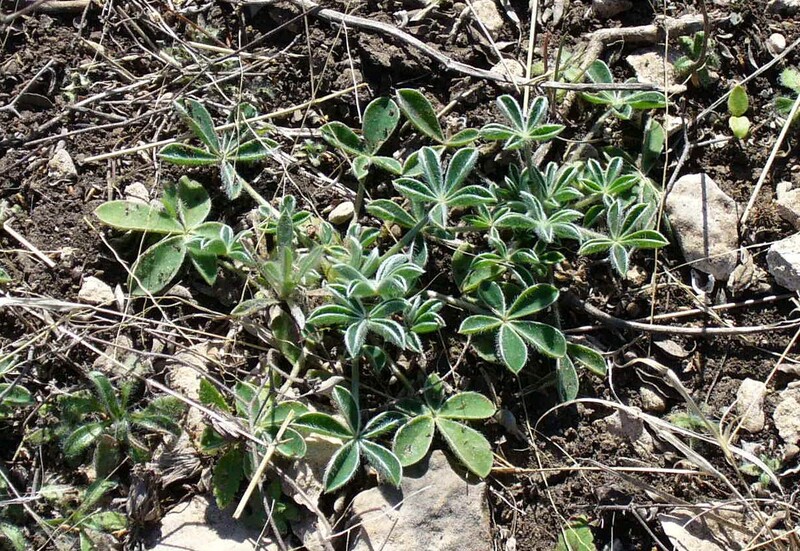 Along the trails, in the gravel, in the low grasses, we also spotted a number of these small rosette clusters of leaves that reminded us that soon we would see Texas bluebonnets. In spite of the recent dry weather, the fall rains gave these beauties a head start. Stay tuned for more on bluebonnets as they begin to bloom. The next time you’re out walking, look for signs that a change in seasons is coming. Are you seeing new birds as they begin their migration north for the summer? Are you starting to see the buds on the trees start to swell? Are critters starting to stir from their winter hibernation such as snakes sunning themselves on the rocks? What other small jewels are in and amongst the rocks and grasses that tell you our Texas wildflowers will be blooming in a month or so? There is so much to see and learn, just look around… and don’t forget to look up and down. You don’t want to miss anything!